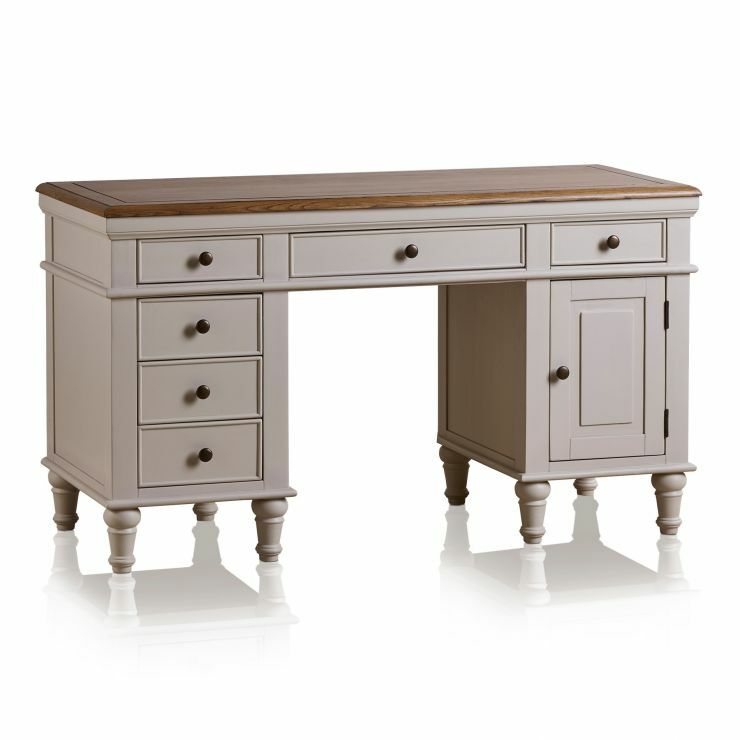 Our Shay computer desk is designed with modern working in mind. 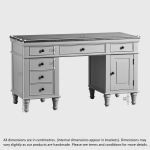 Perfect for creating an organised home office, it has drawer and cupboard storage, exit holes at the back for cable management, and a special compartment to tidy your keyboard and mouse. 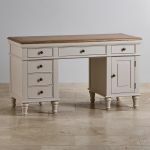 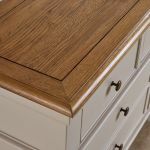 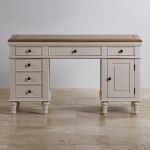 This stunning computer desk is made from high quality solid hardwood throughout, even the drawer bases, backs, and runners.The base is smoothly painted in an almond grey shade, which complements the rustic solid oak top. 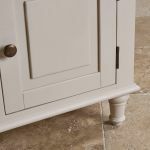 It boasts all the design hallmarks of our Shay collection, including contrasting dark metal hardware, turned legs which elevate the piece, and delicate top cornices. 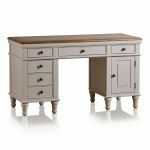 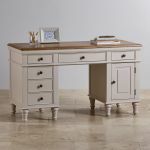 Browse all our fantastic Shay pieces to complete your ideal home office.